Our carefully designed creative curriculum provides the pupils with high quality learning experiences that prepare them both academically and socially to have successful futures. At the core of this curriculum is a dedication to our children acquiring the key skills in reading, writing and maths and providing them with a wide set of experiences in which to apply these skills to. 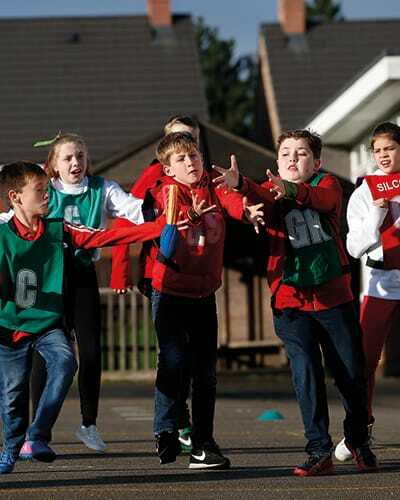 Together with our expectation that teaching strives to always be excellent, enquiry-led activities and skilled staff have ensured that academic standards have remained consistently above the national average. The curriculum seeks to be creative and allows pupils’ talents to shine. We present our learning to the children through a series of enquiry-based activities and we look to enrich their learning with trips to relevant sites in our local area and beyond, along with visitors coming into the school. In addition, specially-designed focus weeks, such as Science Week or our British Values Week, capture pupils’ imaginations and inquisitiveness. In addition, we hold a successful Grandparents’ Day, History Day, along with many other ‘themed’ events. A business programme called ‘Biz Kidz’ is also followed in the Spring Term by all of the children in Key Stage 2. Specialist teachers, both in Junior School and Senior School, work with the children from Reception upwards. By the time pupils are in Year 6, they will have specialist teachers and facilities for Music, PE, ICT, Science and Languages. In addition, Year 6 are taught English by members of the Senior School English Department: this helps ensure a smooth transition in the children’s learning as they enter Year 7. This runs alongside the transition programme we have in place for children moving into Senior School, which includes specific work with Senior School staff and other members of the school community. The school also follows a number of programmes to enhance learning, such as Read, Write, Inc. and the Abacus Maths Programme. The school also has an extensive levelled reading scheme that draws together a wide range of reading materials. In addition to the general reading books, there are also special books for reluctant readers, as well as an extensive Junior School Library for free readers (for those children who have progressed beyond the scheme). Years 5 and 6 pupils also have regular opportunity to spend time in the Senior School Library. 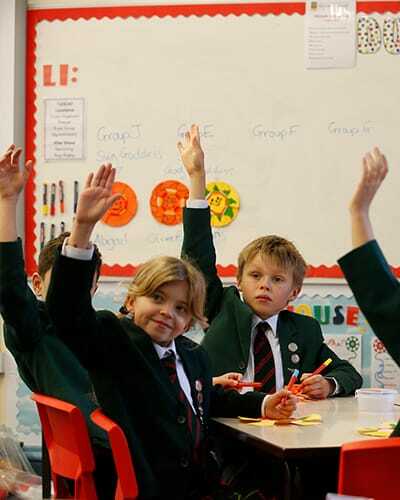 The Junior School curriculum includes not only the formal requirement of the National Curriculum but also the range of additional opportunities that the school organises in order to enrich the experiences of our children. In Year 6, for example, the children are also taught Politics, Business Studies and Philosophy. Pupils from Year 1 to Year 6 also enjoy an additional music session each week, ranging from the opportunity to play ‘Boomwhackers’ to creating their very own ‘STOMP’ performances.